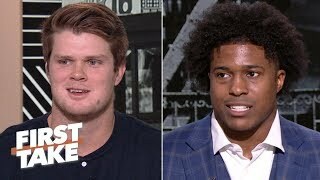 First Take Full Show 4/1/19 Duke's season was a failure - Stephen A. | Get Up! Smith, Jalen Rose and Jay Williams reflect on the Duke Blue Devils' season and the magnitude of disappointment after losing to the Michigan State Spartans in the Elite Eight. says Zion Williamson did not fail this season, but Cam Reddish did because of his inconsistency. The crew also looks ahead to Reddish's NBA draft stock.